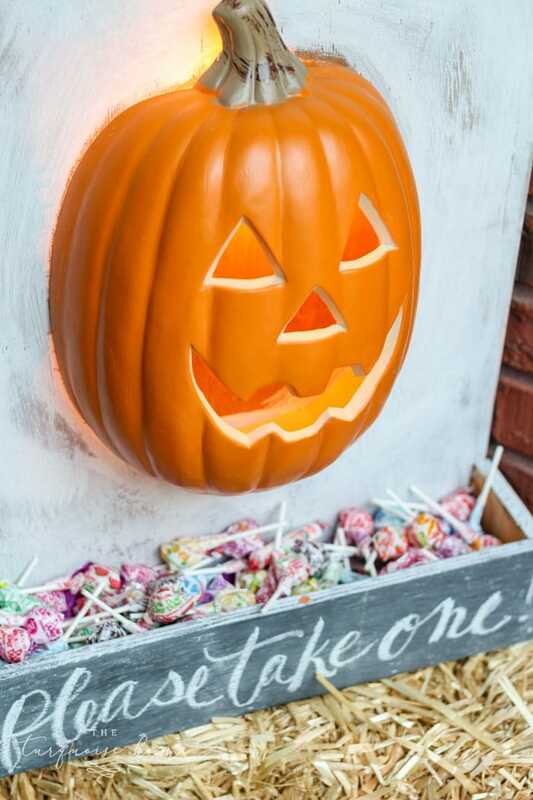 A DIY Lighted Pumpkin Candy Holder is just what you need to share the goodies on Halloween night in a festive and fun way without having to be home!! 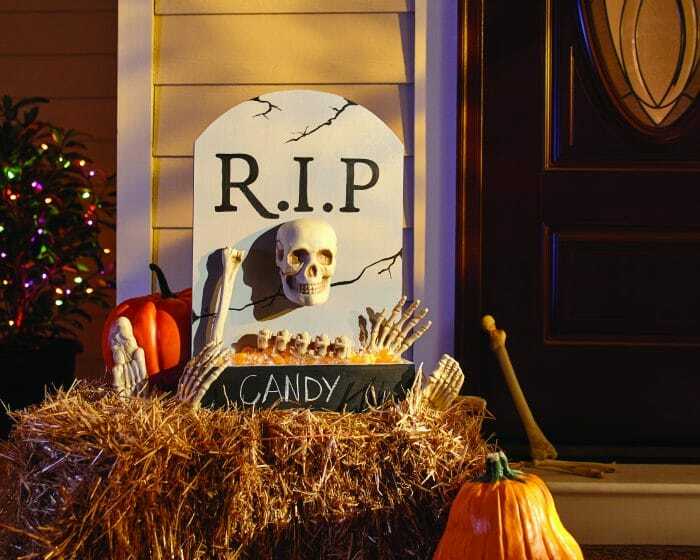 I love the idea of leaving a bucket out for trick-or-treaters while you take your little ones around the neighborhood. 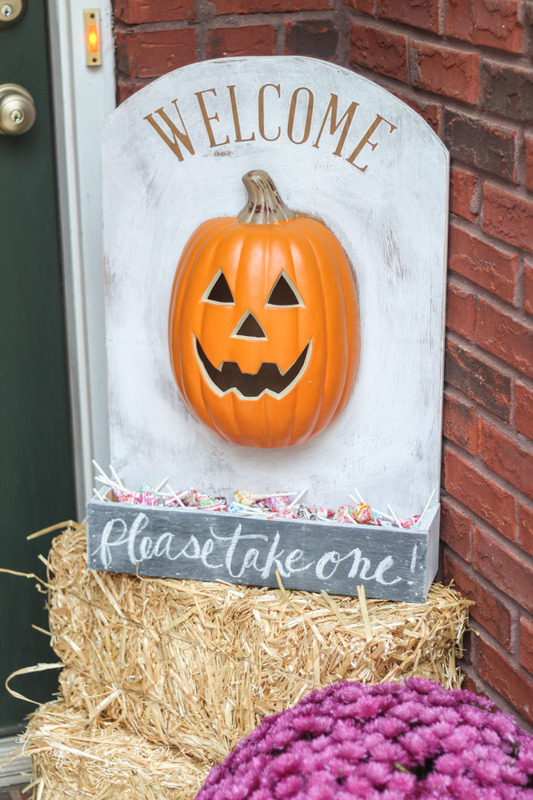 Th best & easiest way to make your own candy holder is to register right here – it’s free – for your local The Home Depot’s Do-it-Herself Workshop this Thursday, October 19 at 6:30 pm! I changed a few things because I don’t just love a scary Halloween. I’m more of a friendly pumpkin, Disney princess Halloween girl. 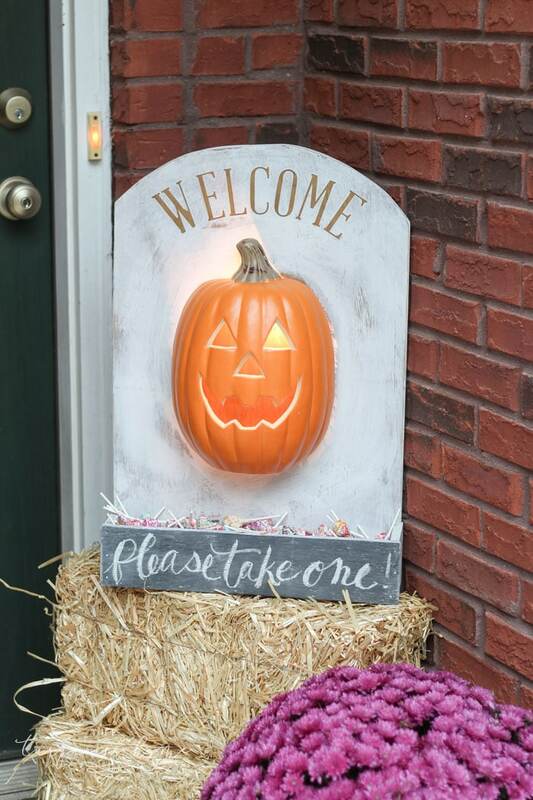 So, I switched out the skeleton bag of bones for a lighted pumpkin and “welcome” sign. It just fits my whole pretty pumpkin theme at my house a little bit better. 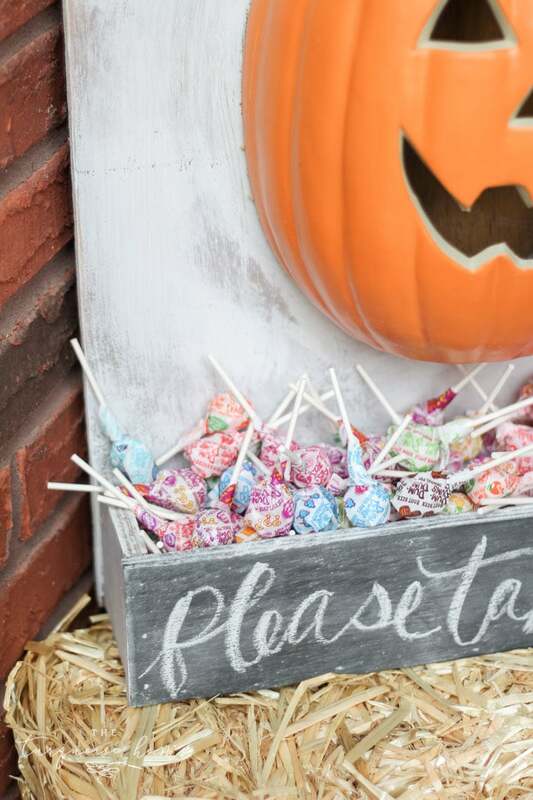 I’ll share all of the details about how to make my exact candy holder below, but if you go on Thursday night, you’ll be able to make the box holder and you can then decorate it however you want! Sweet or scary, it’s up to you! Step 1. 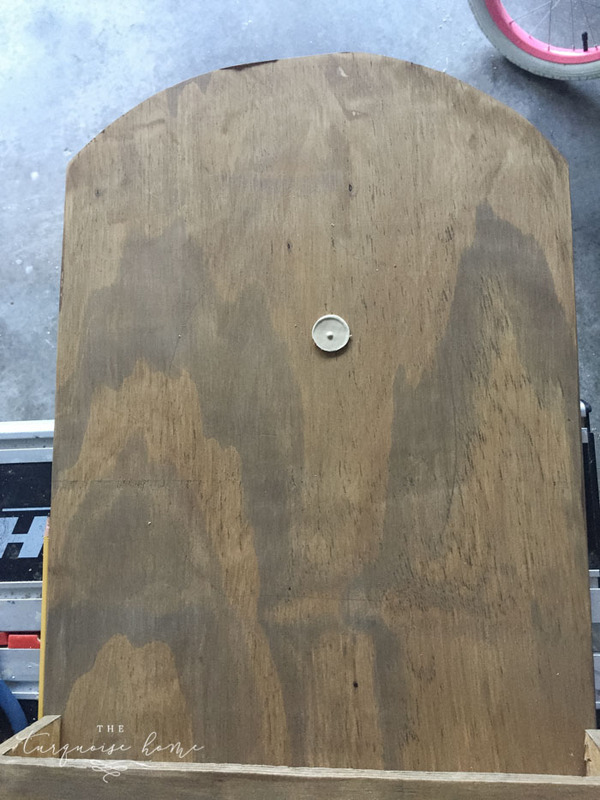 Measure out all of the pieces you need to cut on your plywood. I’ve labeled all of the cuts on my photo for you. Step 1b. 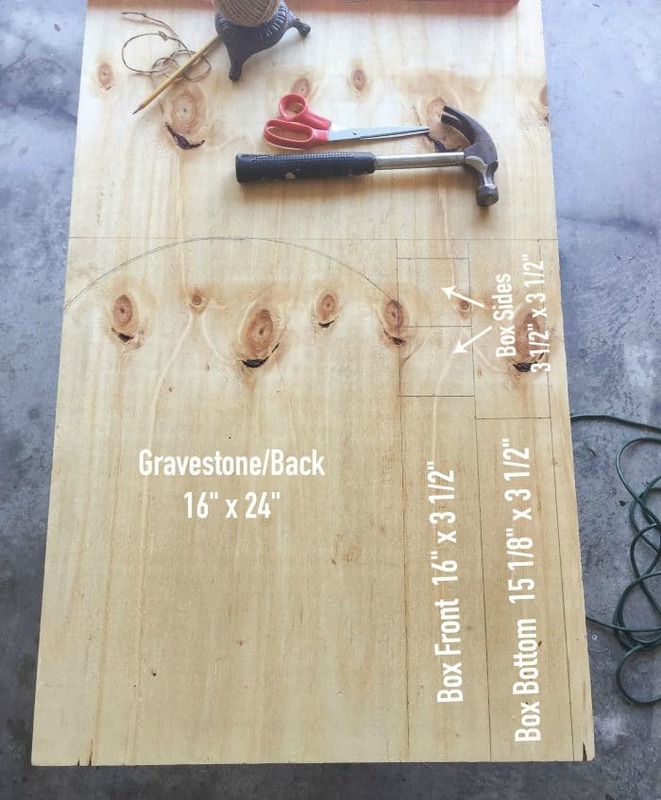 Draw the arc of the grave stone/back piece by measuring down 10 inches from the top of the back piece. Hammer a nail into that spot. Tie a string at 10 inches long to the nail and a pencil and draw the arc. Step 2. 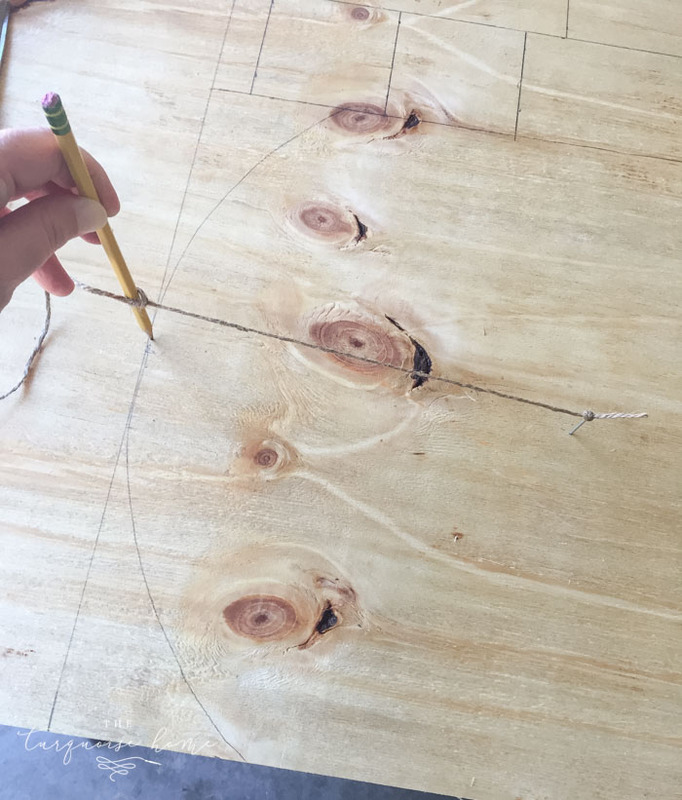 Cut the straight lines on the plywood with a circular saw. 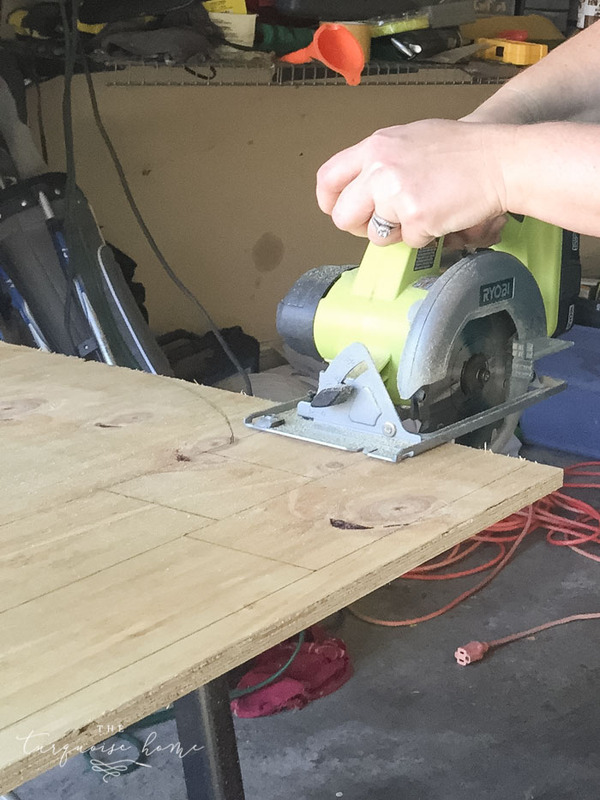 I use this Ryobi circular saw that came in my Ryobi starter kit and love it! It’s light weight and will get the job done! Always make sure you use safety goggles when cutting and use all safety precautions. Step 3. Cut the arc on the top of the back piece with a jig saw. (Don’t forget those safety goggles!) 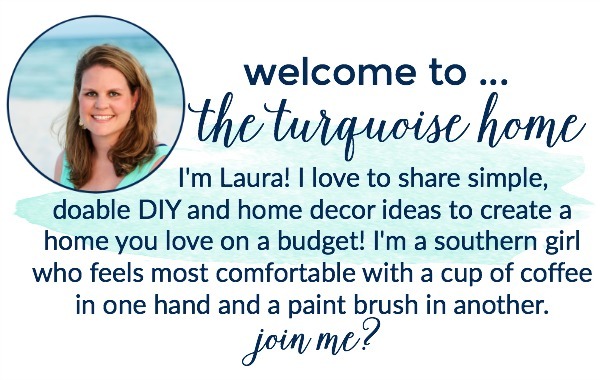 I have a confession… I have had a jig saw for years, but I have never used it before! This was the first time and it wasn’t nearly as hard as I thought it would be. Yay! Tip: Use a sanding block to smooth down any rough edges. Step 4. 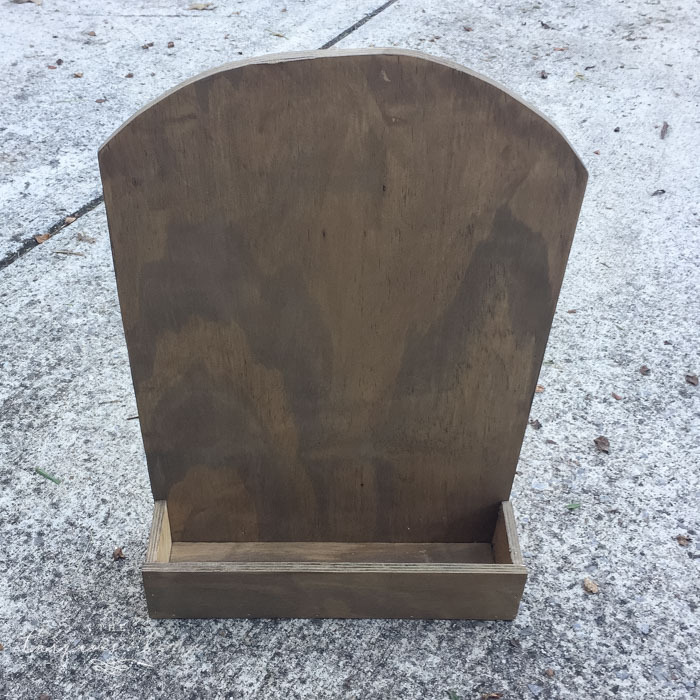 Paint or Stain your box. I chose to just stain my box at this step because my paint was going to have to be a little more detailed after the box was put together. But staining it before I put it together definitely helped! Step 5. Attach all of the box pieces. 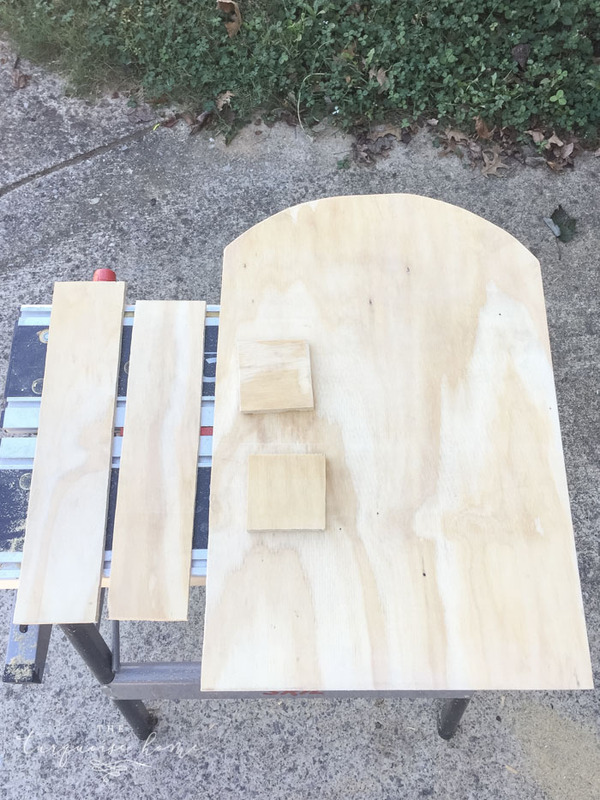 Hold the box sides up on the front piece of the box form, making sure they are flush with the sides, and attached with a brad nailer and 1 1/2 inch brad nails. Then you will attach the box sides to the back of the box form, making sure they are flush on the sides. Attach with the brad nailer. Step 6. 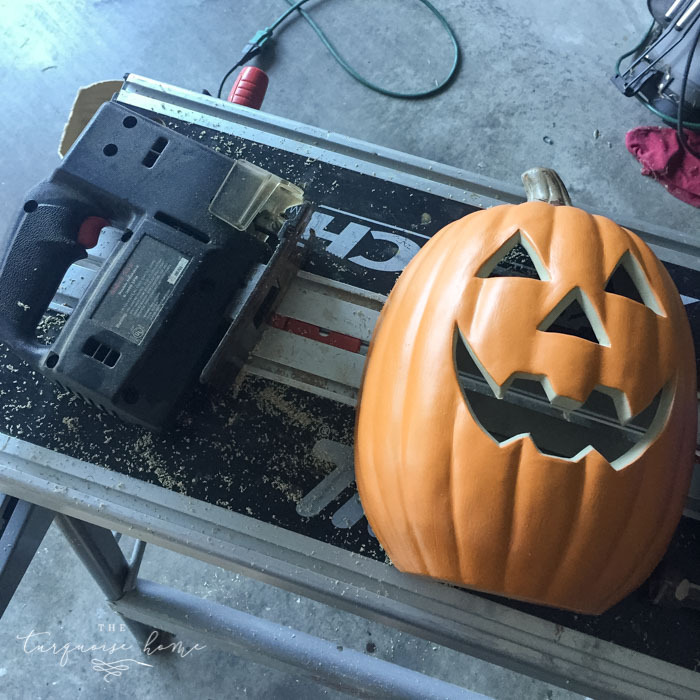 Cut the jack-o-lantern pumpkin in half, so that it can sit flush on the back of the board. The pumpkin is made out of plastic, so it wasn’t easy to cut. I used my jig saw, but please use all safety precautions when doing so. I recommend having someone help you if you don’t feel comfortable going this route. Step 6. Cut the hole for the back of the pumpkin light. 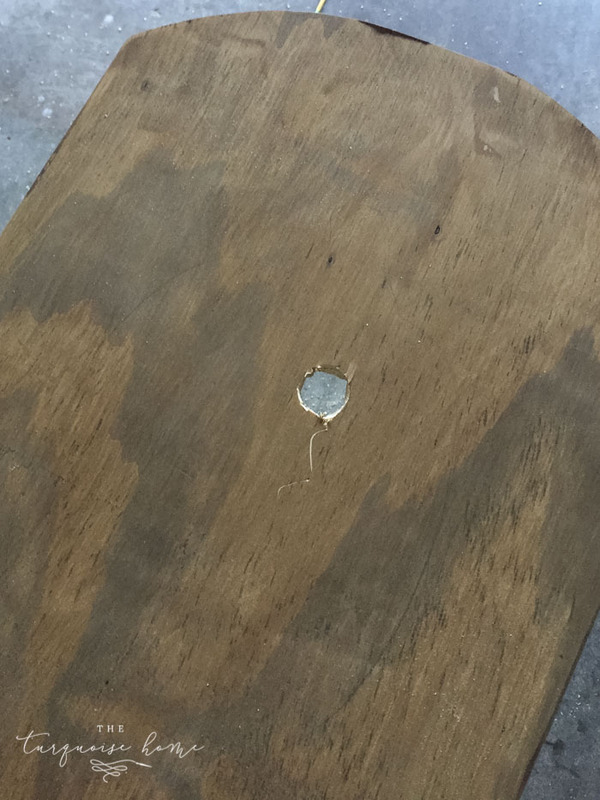 Since I cut the back of the pumpkin off, I had to make a hole in the back board for the light to fit through. 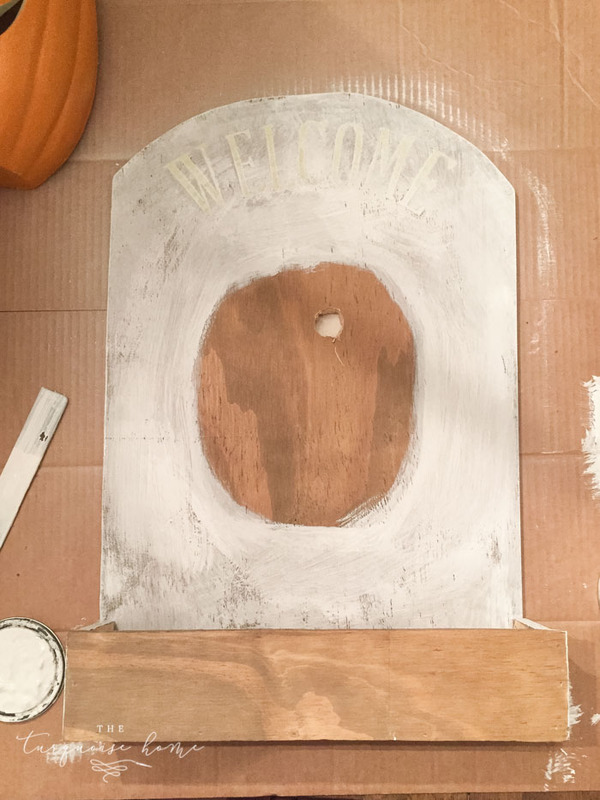 So, I traced the pumpkin where I would put it on the board, and then traced the spot for the light hole using the hole cut out from the pumpkin. I used a large drill bit to drill several holes around the outside of the light hole, and then cut it out the rest of the way with the jig saw. Step 7. Add the “Welcome” sign. 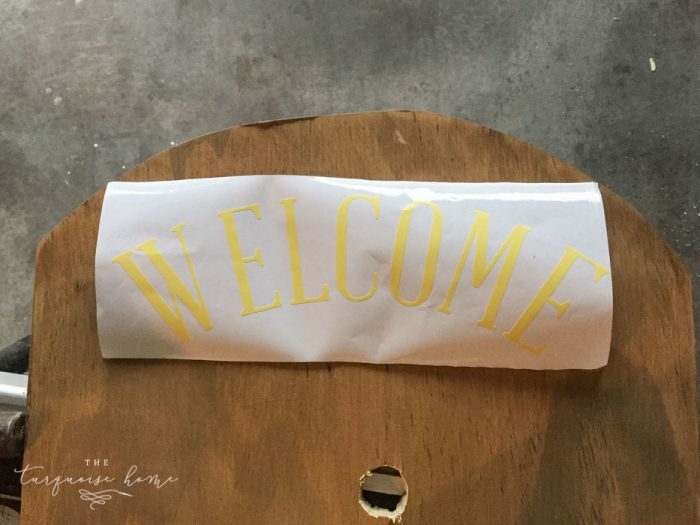 I cut out the “welcome” letters using the Abraham Lincoln font on my Silhouette Cameo. 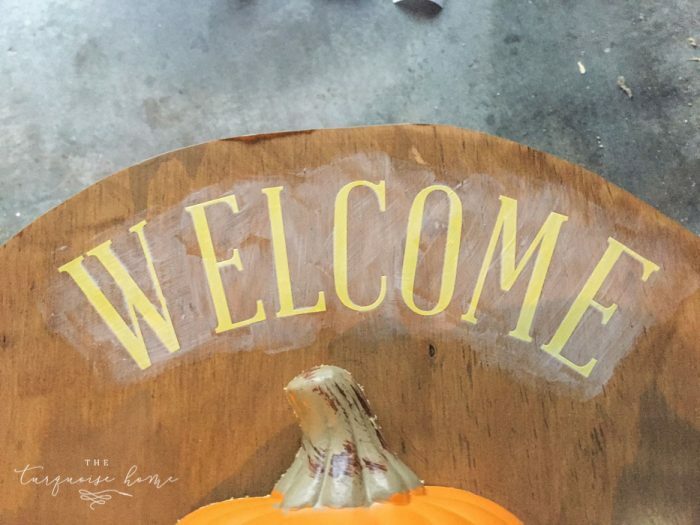 I put the vinyl on the top of the sign above where I had traced where my pumpkin would go. Then I applied Mod Podge to the letters so that the lines would be crisp when I painted over them. Step 8. Paint the box. I painted my box with some white chalky-type paint. I dry brushed it on everywhere except where the pumpkin would be and the very front board on the box. Then I painted the front board of the box with black chalkboard paint. Step 9. Remove the vinyl letters. 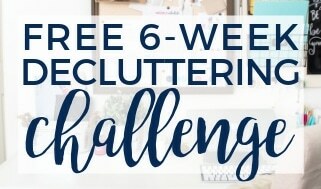 This is easy and now you have a cute saying on your project! Step 10. Attach the pumpkin with super glue. I used Gorilla glue and it works great! I will note that I didn’t cut the pumpkin perfectly straight, so not all of the sides touched the board. So I just glued the parts that DO touch the board really well and it’s holding up perfectly! Step 11. 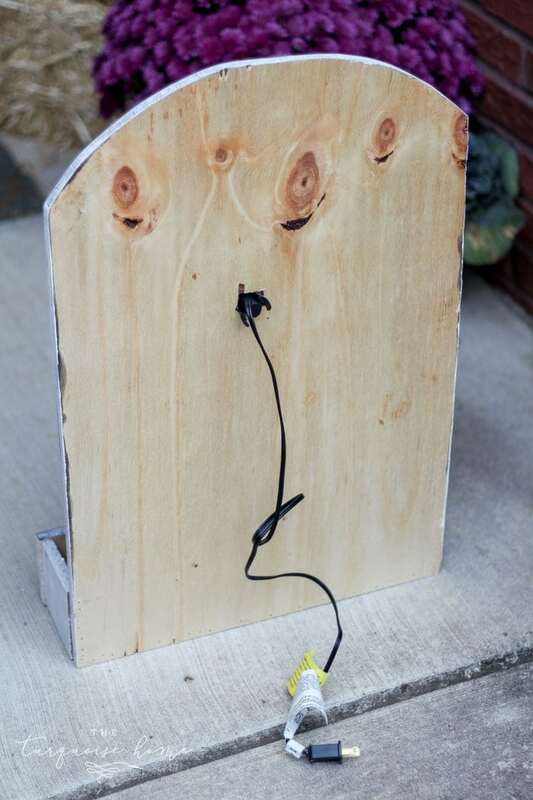 Add the light to the back of the board. Step 12. 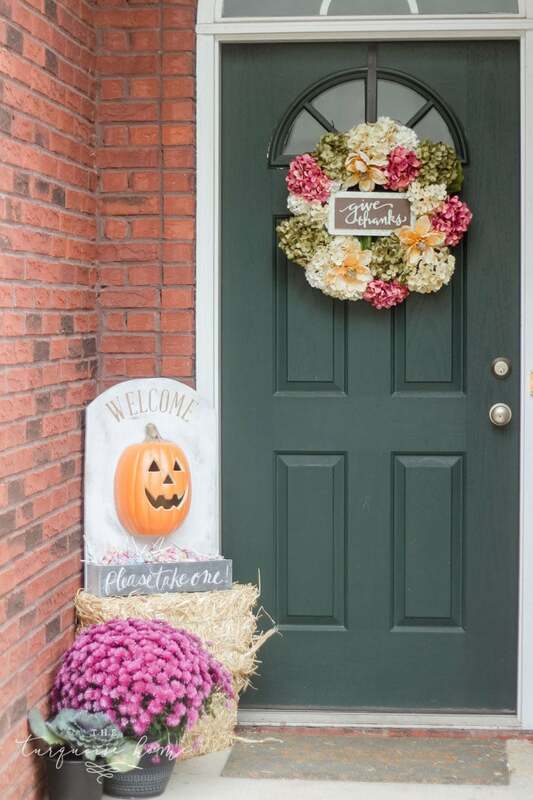 Add candy and a chalkboard message to the front, and you’re ready for trick-or-treaters!! 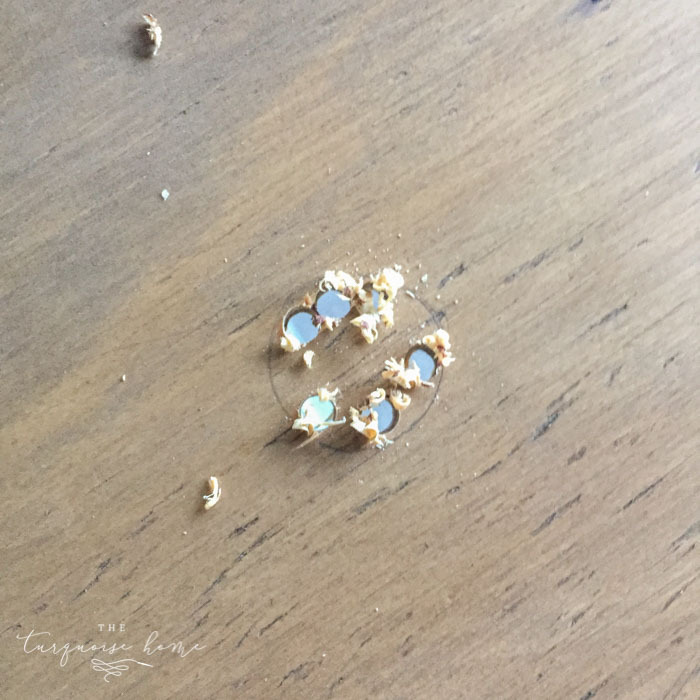 I’m so happy that my vision came together just how I imagined! I love how it turned out! Now, don’t forget to go register for the FREE #DIHWorkshop this coming Thursday, October 19. 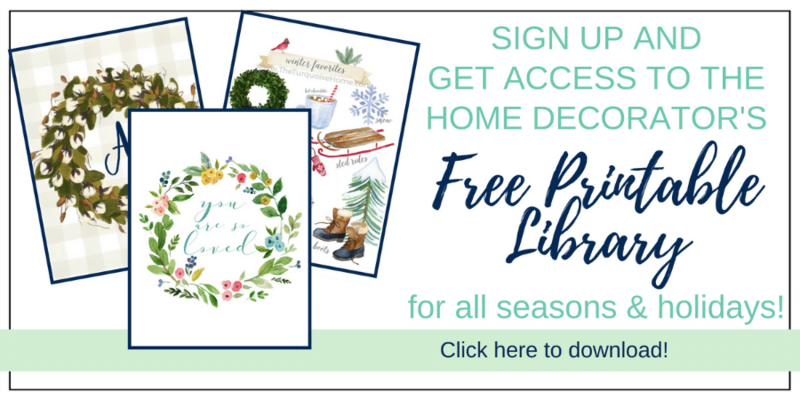 You will LOVE making this cute sign with your friends. And best of all – you don’t have to get your garage dirty or break out your own tools. You can do it all there! And you can see here why I left the board behind the pumpkin stained and not painted. I wanted it to be dark behind the pumpkin when the light wasn’t on. I didn’t want you to be able to see white painted brush strokes back there. 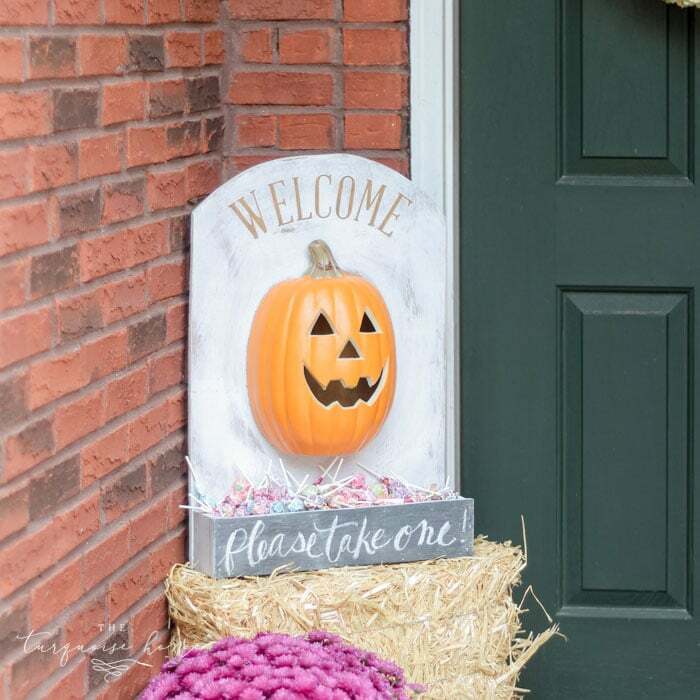 Thanks for the tutorial on how to make the pumpkin! It is really cute. 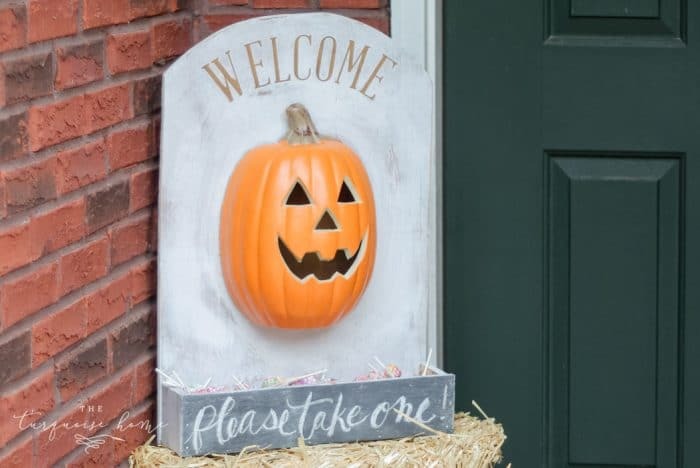 I am thinking that you could even stand up a battery operated candle inside the pumpkin vs drilling the hole for the light? Do you think that would work? I like the way you used the pumpkin instead! It is adorable!! !